Vote for Classy Career Girl & Receive 3 Career Ebooks! Hi friends! I wanted to ask you a quick favor. If this blog has helped you in your career and life and you can spare 5 minutes, could you please vote for Classy Career Girl for the top 100 websites for women? Vote here for Classy Career Girl for the top 100 websites for women. The instructions are pretty easy. They are to please explain why the site should be on our radar, how you use it in your life and why it deserves to make the 2012 list of the best websites for women. I would really, really appreciate your vote! If you vote, please leave a comment below with your email address and I will email you a 3 free career ebooks that I have written. These ebooks will give you a jump start on your career and I can’t wait to share the helpful information! Really, these ebooks have just been sitting on my laptop and I have been trying to figure out what to do with them. But, there is no reason why such important and helpful information should just be sitting on my computer and not be in your hands!! So this seems like the perfect way for me to get these ebooks in your hands instead. The ebooks are on informational interviews, 30 days of networking ideas and a consolidation of the best career advice from my networking challenge interviews. Thanks again ladies and let’s get this website into the hands of other young professional women who need it! Fingers crossed!! To give you some ideas, I wanted to share some nominations that have already been made on Forbes. Thanks to Roberta and Lor for such amazing and kind words!! These made my day!! Especially, being called the Pinterest of Career Blogs, Whoa! Rules: Leave a comment with your email address if you have voted for Classy Career Girl as one of the top 100 websites for women and I will email you 3 free career books. 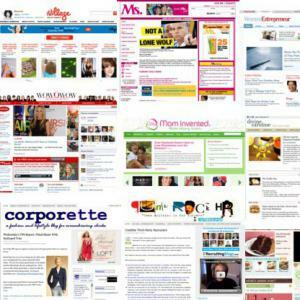 Contest ends when the 2012 top 100 websites have been announced by Forbes.